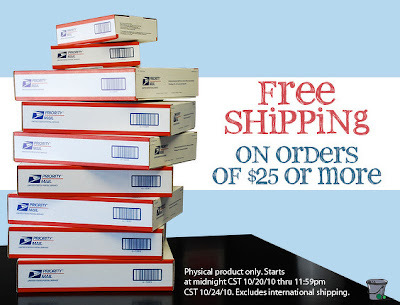 As many of you know, Two Peas is pretty generous with their free shipping promotions; however, there is usually a $50 minimum. Through tomorrow (10/24/10 at 11:59 CST), they have dropped that minimum order to only $25.00. So, if you don't like to make such large purchases or only have a few things you've been covetting, now might be just the time to order.